For the very first time in New York coastal waters, the voices of singing blue whales have been positively identified - the voice of a singing blue whale was tracked about 70 miles off of Long Island and New York City as the whale swam slowly from east to west. 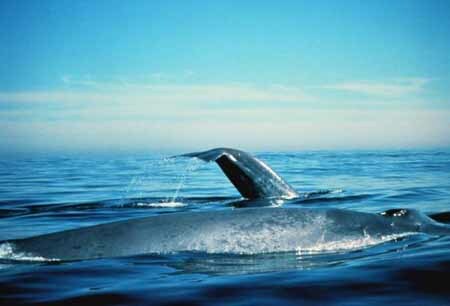 At the same time, a second blue whale was heard singing offshore in the far distance. "These endangered blue whales are the largest animals ever to have lived on this planet, and their voices can travel across an ocean. It's just amazing to hear one singing out there on New YorkÕs ocean stage only tens of miles from Carnegie Hall and Broadway!"